Chunder tyre 2.3 fitted as it was all I had. Problem see more. 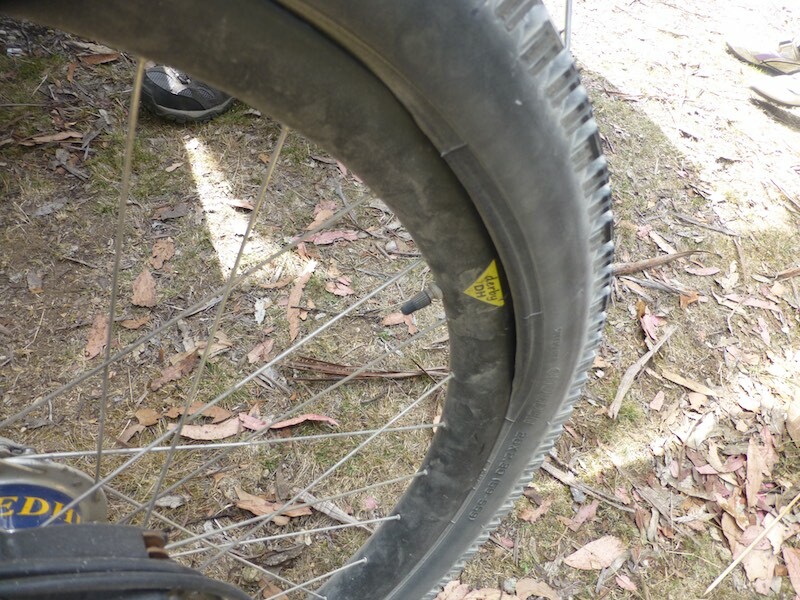 I had this heavy Tyre at home but could not fit it tubeless so I fitted it with a tube before leaving for Tassie. 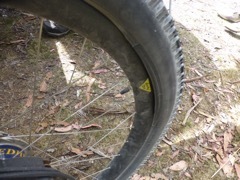 On the first ride at the Mersey the tyre came off the rim and I assuming I had not beaded it properly. The problem can be seen in the header photo.